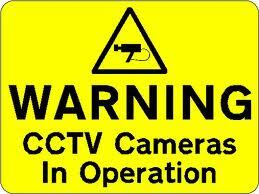 All Andy Cars vehicles are now being fitted with CCTV for passenger peace of mind and the drivers security. The top quality high definition cameras will record any event taking place both inside and out of the vehicle, all cameras conform to the regulations set out by the I.C.O. and the Data Protection Act, drivers do not have access to the recordings which can only be viewed by members of the management team. We hope this will provide another level of security and comfort to every journey taken by our customers both in the private and corporate sector. Gloucester City Council has welcomed the move and will be encouraging other companies in it’s jurisdiction to follow suit. Any of our customers who feel they were treated unfairly and would like to call on the video recordings as evidence must report the problem to us within 24 hours of it having taken place otherwise there is a possibility of the data being recorded over.